I thought one of the ways that I could keep everyone updated on what I’m currently reading was to create a new category on Simply Stine. 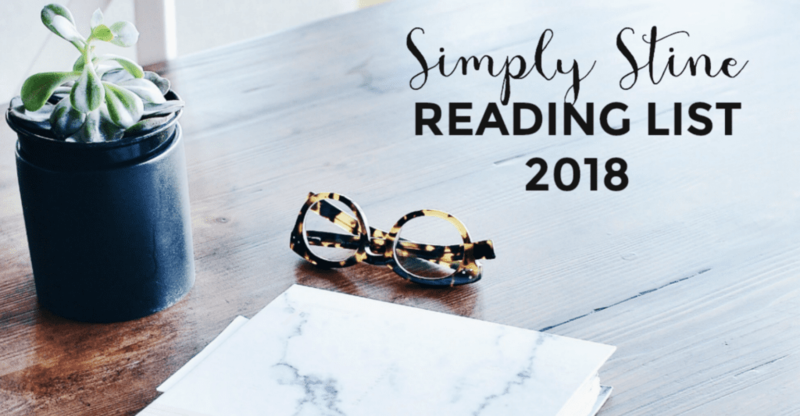 If you click BLOG on the main menu, there will be a new section called 2018 reading list. This is an easy way for you to be able to get information on all of the books that I’m reading this year! That way you can always come back to this category and see all of the books that I’ve included! I totally failed at my reading challenge last year so I promised myself that I would make sure that I gave myself time to read more often because it’s something I love so much, but yet, find that I don’t allow myself the time to just sit and relax with a good book. That’s changing this year! I’ve already read quite a few books and have started another one. Check out what I’ve finished and whether or not I recommend them or not. Are you on goodreads? Make sure to follow me! I got heavily sucked into The Selection 5-Book Box Set: The Complete Series . It was a book so many people suggested to me so I finally gave it a try and I’m so glad that I did! Picture The Bachelor meets The Hunger Games/Divergent. A selected group of women who are competing for the Prince’s love! Just like The Bachelor though, these girls in the competition don’t always play fair. Plus, the story and characters evolve book after book! Just trust me on this one. It’s a super easy read and really, really good! Star Rating: 5 stars! I loved this series and would totally recommend it for an easy, light read! The Light We Lost is now the February Book Club pick for Reese Witherspoon’s Book Club and it’s a great pick! This book is such a page-turner, but also a total tear-jerker. It’s all about the loves of your life and most importantly your first love and how that love can really span decades and in different parts of our lives. The book takes place in NYC and it’s a story that follows two characters; Lucy and Gabe, two people who meet at college and fall in love. Life happens and relationships don’t always work out like we hope. This story shows the power of your first love and how that can be shocking and unforgettable. Star Rating: 5 stars! I read this book in one day and it was one of those stories that really hurt your heart and took you back to moments in your own life. A beautiful love story with a shocking ending. Next month I’ll feature the books I finished as well and let you know what I thought of each of them! I’d love to hear any suggestions that you might have because I’m always on the hunt for new reads! I hope you enjoy my reading list that I’m slowly putting together and use it as a resource for when you’re looking for a new book to enjoy reading!